Smoke-free flame without flying sparks – The rocket stove offers a concentrated heat recovery and distribution of heat and can also be used in windy weather. 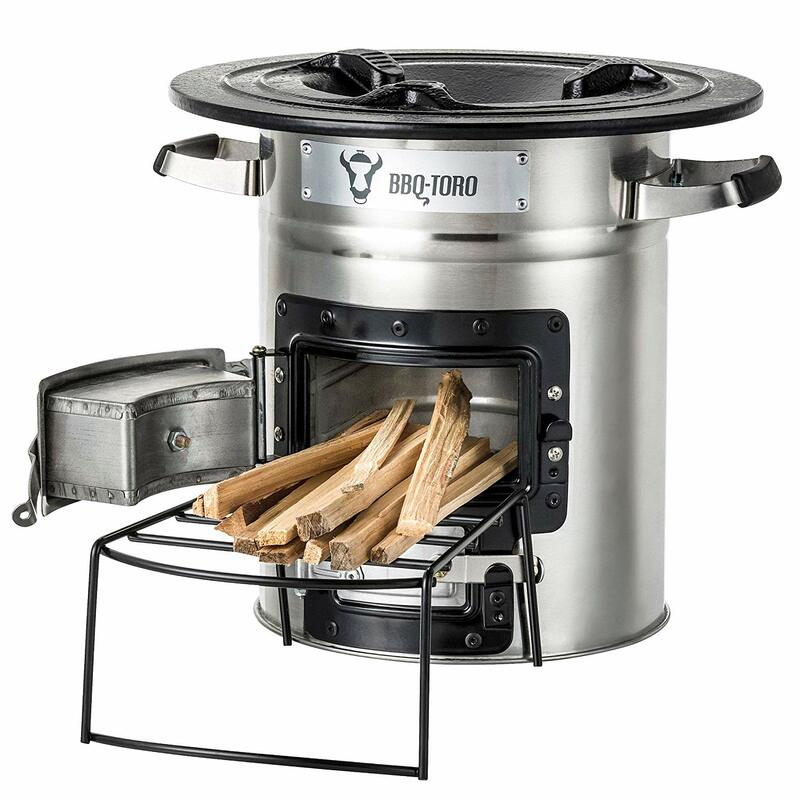 In contrast to open fire when grilling, no heat is lost here and you can thus minimize the cooking time.The cleanest and most energy efficient stove is the rocket stove. Almost anything you can burn. Wood, charcoal, branches, prunings, pine cones and pellets – that’s what makes the outdoor kitchen fun.The rocket is ideal for outdoor use, on your patio, in the garden, yard or camping, and allows you to cook traditionally with e.g. Dutch oven, ladle and cast iron pot.